"Joe has come to Wisconsin for the past 4 years as our pro-trainer for our annual spring seminar. His training techniques and guidance has helped participants to become better handlers and trainers in the field. 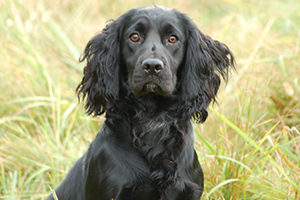 Whether people want to run their dogs in AKC hunt tests, AKC field trials or just use their dogs as hunting companions, Joe's knowledge of all spaniel breeds makes him the perfect choice to lead our seminars . His positive and practical approach is very beneficial and well received. He works hard to make sure that everyone in attendance gets what they need to succeed and reach their goals with their dogs."